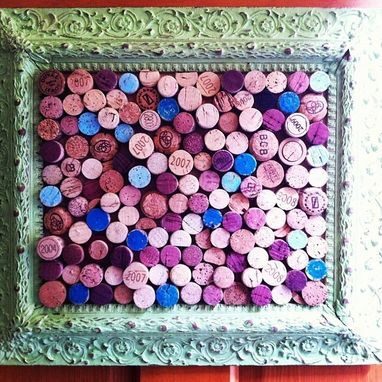 Custom Wine Cork Pin Boards And Usable Wine Cork Mosaics In Various Vintage Frames. 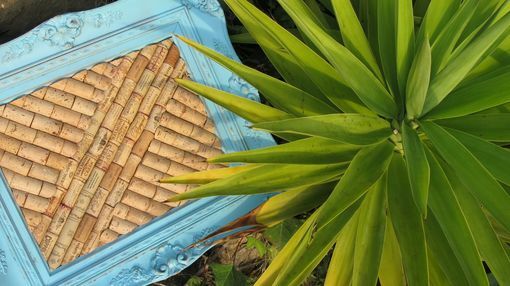 Here we have cork boards or pin boards made using recycled wine corks and vintage frames. we can do any color you want, any style frames, & any size. 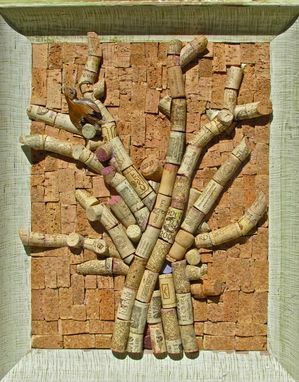 the corks can be cut in half, length wise, and laid down in various patterns. (mazes, tree mosaics, random, ect.) 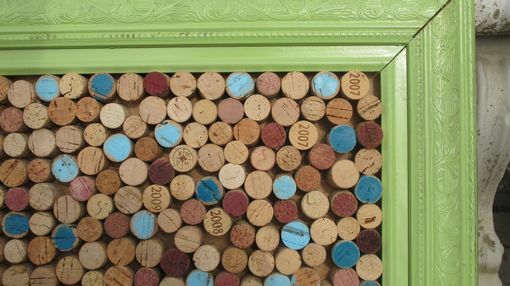 or the corks can be cut width wise and colored with different accent colors. 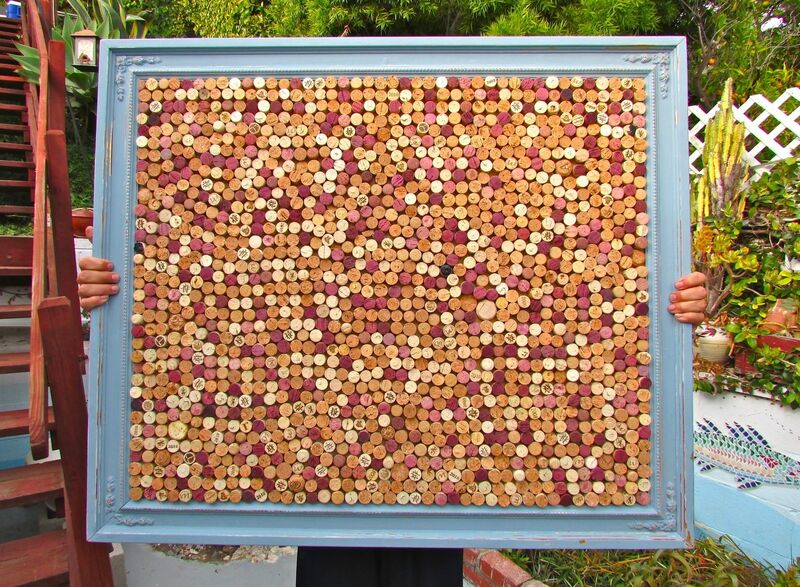 these cork boards are a great alternative to an ordinary, boring wall hanger. a great way to spice up that office, or any room that needs organizing. we can make your project look similar to any of the pieces depicted in the pictures. in fact, if you can imagine your own variation on this product, i'm sure we will be able to come up with what you want!